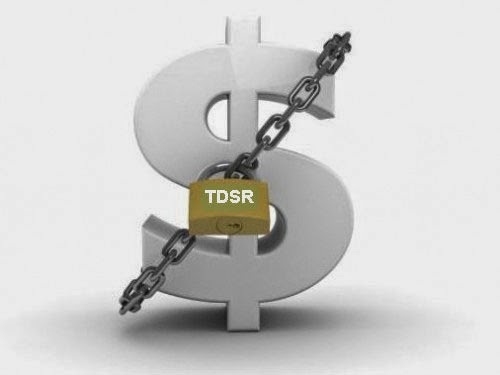 The Total Debt Servicing Ratio (TDSR) loans framework, which aims to deter borrowers from accumulating too much debt, hit its one-year mark last Sunday. The measure, together with the Additional Buyer's Stamp Duty (ABSD), has hammered demand in the market. New home sales in the first five months of 2014 has plunged 52% to 3,894 units from the same period a year ago, according to fresh estimates from URA. So is it an opportune time to review and make adjustments to the cooling measures that are currently in place? No - says our Ministry of National Development, as it is too early, given that prices have remained relatively stable despite decreased home sales. MND noted that private home prices had surged 60% during the most recent market upswing that began in mid-2009. Any premature removal of cooling measures could result in a sharp increase in demand and housing prices. And quoting from the research head of a local property agency, "mass market units were about $700 - $800psf four years ago. The more attractively priced units nowadays are already nearly $1,00psf. Upgraders from Housing Board flats in particular will still prefer a steeper price correction". Yes - says property developer Kwek Leng Beng, who fears that Singapore could lose its edge as an investment destination. Foreigners were choosing to plough their investment dollars into countries like Britain, Australia and the US over Singapore, while Singaporeans have been investing abroad. This is despite the higher risk profiles associated with these foreign properties. Mr Kwek had urged the Government during the earlier part of this year to consider lifting the hefty stamp duties imposed on foreigners and locals as the measures had cooled the market. Yes - says PropNex chief executive Mohamed Ismail, as it is unlikely that more speculative buying will be encouraged with the removal of ABSD. This is because with the TDSR, buyers already cannot overstretch themselves financially. When we did our June 23 piece on the first anniversary of TDSR, the wife and I raised the question of whether there is now a case for our Government to review the ABSD and SSD, given the seemingly effectiveness of TDSR. Some has argued about the actual intention of TDSR. Whether the objective and implementation of TDSR is really a measure to cool the property market, or more of a move to discourage Singaporeans from overburdening themselves with more debt than they can actually afford, is (to us, at least) immaterial. The fact remains: TDSR has had the single largest impact in moderating property prices as compared to the previous seven rounds of cooling measures. But as Mr Ong Kian Teck (* we were informed that the gentleman's name is Ong Teck Hui. We stand corrected, and thank Gillian for pointing the error out to us) at Jones Lang LaSalle had pointed out, similar moves to cool the property market in 1996 did cause prices to ease gradually at first, but the market crashed when the Asian financial crisis hit in 1997. So the question becomes: are we at the point of "overkill" in terms of cooling measures being stacked on the market that we are becoming vulnerable to a major adverse event? The concern is especially valid when 50,000 or so new apartments are expected hit the market over the next 2 years. We will leave this debate to the experts (which we are not) but the wife and I would like to offer the following food for thoughts: Are ABSD and SSD really the most appropriate measures to "compliment" TDSR in reining property prices going forward? We said "compliment" because prior to TDSR, both ABSD and SSD were not doing that good a job in curbing price increases. Yes, demand had fallen somewhat but prices continued to inch upwards until TDSR was implemented. ABSD and SSD was based on the notion that "if you hit the buyers where it hurts most, aka their pockets, they will think twice about buying". But given an environment where interest rate is low, market is flushed with liquidity and there are few in terms of investment alternatives with risks that the average investor can understand/stomach, people will continue to buy into the property market despite the lower returns and longer holding periods. There is also the pertinent question (we are probably opening a can of worms here) of whether ABSD/SSD actually did more good to increase the Government's coffers than it did to cool the market. The wife and I concur that TDSR is probably the way forward to curb escalating property prices (although the 60% ratio should not be set in stone). But instead of retaining ABSD/SSD and fiddling with these, are there any other measures that can be explored as a compliment to TDSR? 1. Foreigners can only purchase private homes in the resale market that are above a certain size (e.g. 1,300sqft – arbitrary for the sake of this discussion), while those units that falls below can only be resold to locals/PRs. This will certainly provide a test on the resiliency of demand for small units (especially shoeboxes). It may even alter the developers’ dynamics and their current strategy of building primarily small units in an attempt to prop up psf prices. 2. For new mass market projects (say, $1,200psf or below – again arbitrary just for this discussion), cap the number of units within each development that foreigners/PRs can purchase (say, 20% - arbitrary). This is not only in-line with the “Singaporeans first” call by a large majority of our locals, it will also appease those who complained that foreigners are jacking up prices. It may even help promote better integration of foreigners/PRs with our locals, given the smaller foreigners/PRs-to-locals ratio within each development. Some may view the above as discriminatory but so is the 15% additional duty currently imposed on foreign buyers. And as someone once told us: "No one said life was fair, now get on with it!". (* The wife and I have been getting some flak from Netizens who branded us as "pro foreigners" and "developers' lackeys" for saying that the 15% additional duty imposed on foreigners is discriminatory. But if one will to take that "offensive" statement in context with our "tongue-in-cheek" recommendations, he/she will probably be more forgiving to what we were REALLY trying to say: We are NOT discriminating against FOREIGNERS by asking to limit the unit size that foreigners can buy in the resale market or capping the number of units that foreigners/PRs can buy in new development, despite some may think so. These measures, in our opinion, are similar in spirit to the 15% duty imposed on foreign buyers. The wife and I also want to state for the record that we are NOT clamouring for the roll-back on property cooling measures. What we did (instead) was to ask the question of whether ABSD and SSD are really the most appropriate measures to "compliment" TDSR in reining property prices going forward. But as we have always acknowledged, we cannot please everybody. And by revisiting this post, our intention is simply to clarify rather than defend. 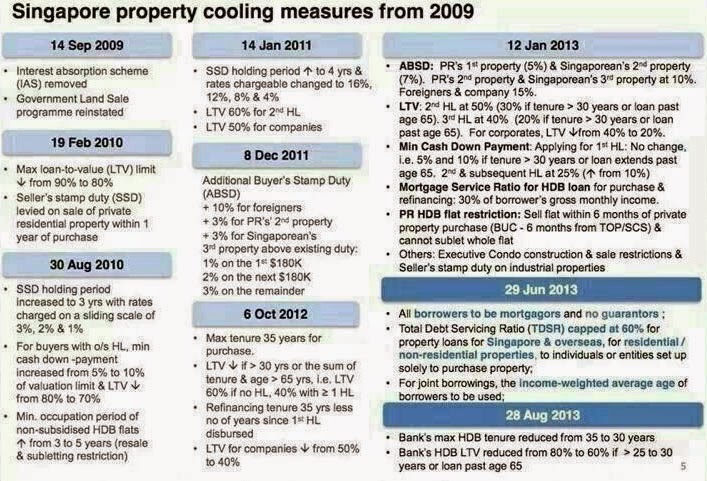 No Comment to " "Time to roll back on property cooling measures?" revisited "